Yesterday was full of errands, squeezing in a couple workouts, and then a cranky toddler. That meant too much snacking. I usually don't snack my way through lunch, but that was the case yesterday. I just went for the easiest & fastest things to eat when I felt a little hungry. I think I need to prepare better lunches in advance! At least breakfast was good! I made a Tone It Up protein pancake topped with some apples. For the apples, I just chopped up a small one and threw it in the microwave for 2 minutes with some cinnamon. It was a great quick topping! 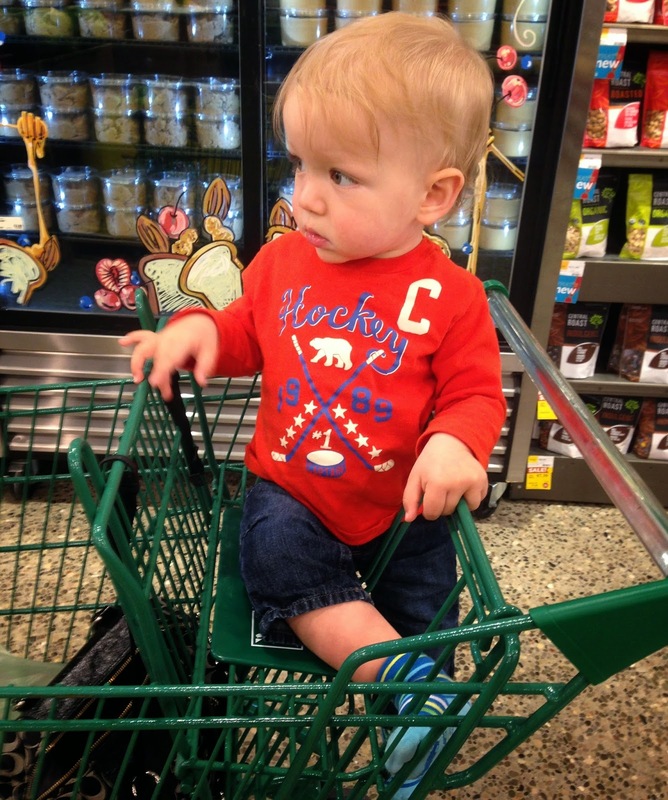 After Wyatt woke up from his nap we made our way to Whole Foods to pick up some necessities. It seems like the only place around to have decent organic produce. It's worth the 25-minute trek from my house. What's a stop at Whole Foods without an impulse buy?! 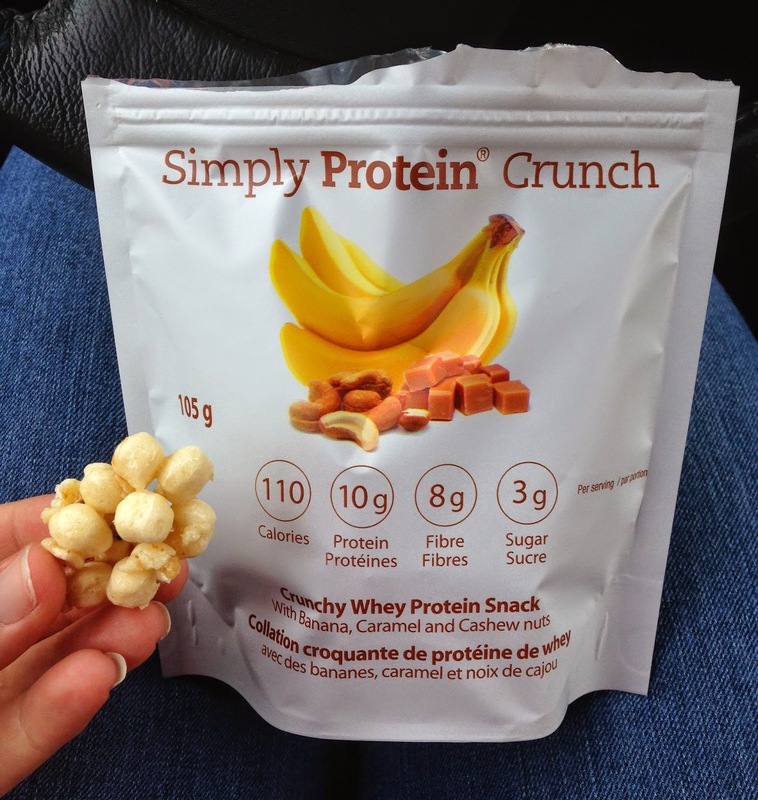 I couldn't resist opening the bag of Simply Protein Crunch and trying these babies in the car. Super crunchy and I loved the little pieces of banana and cashew. Basically it tasted like the best cereal ever. Wyatt had lunch and we played around the house for a while before his nap. During his second nap I had to sneak in my Tone it Up workouts so my lunch got pushed back. I was gonna scarf down a salad before he woke up but his nap was a little shorter than usual. 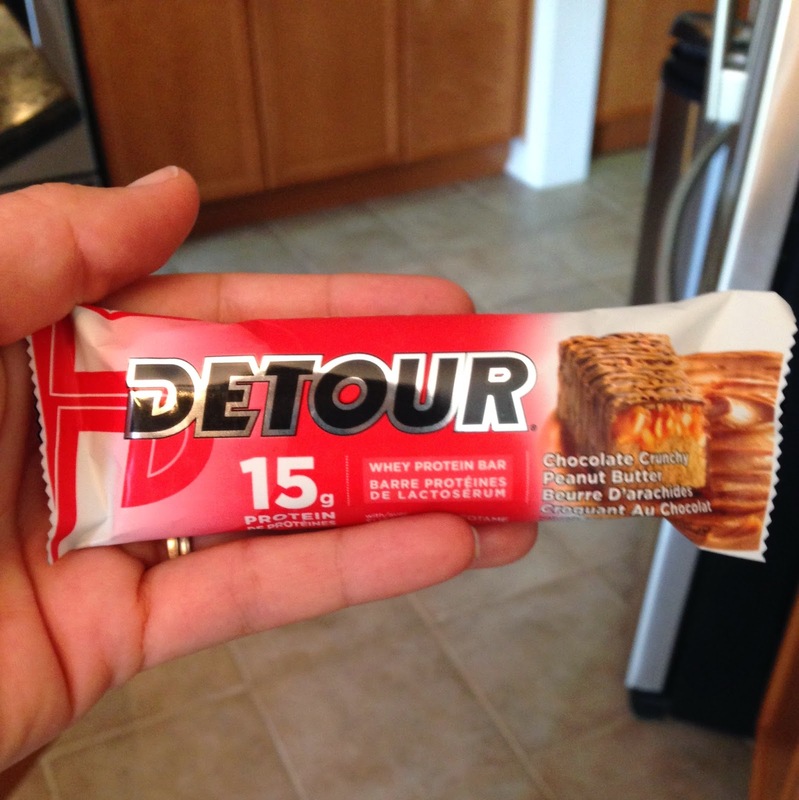 Time for a Detour bar. Now it's outside time! I love taking Wyatt out for a walk around 2 - 3 to see all the school busses go by. He LOVES to see them! He points and actually says "bus". I must have a genius on my hands. 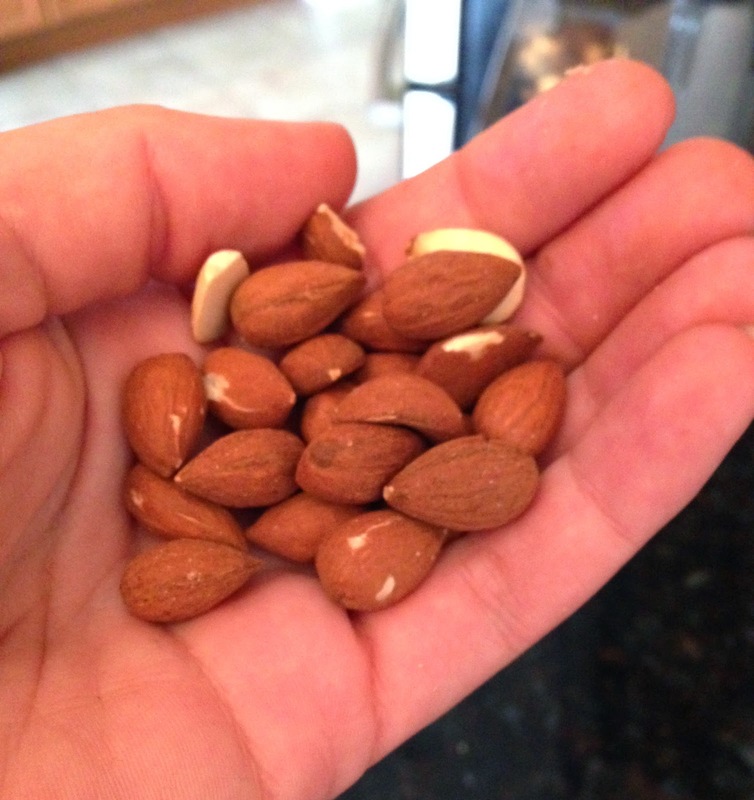 After we got back home I scarfed down a handful of almonds while Wyatt threw his first of a few tantrums. Why does he only want to do the things he's not supposed to?! Wyatt went to bed just after 6, and it was time to relax... a nice glass of Pinot Noir always helps. 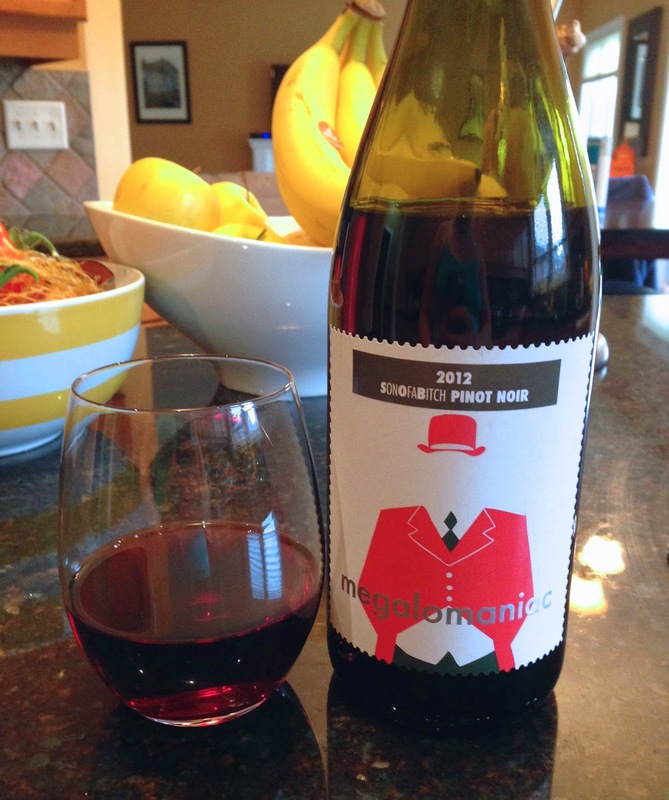 We picked up this bottle of wine when we went wine tasting in the Bench region of the Niagara area. Gotta love the name too! Now dinner time! Another gem I got from Whole Foods.... King Salmon. I hadn't had this tasty fish since living in California. On the side was sautéed baby broccoli and cauliflower mash. I had to have dessert of course. 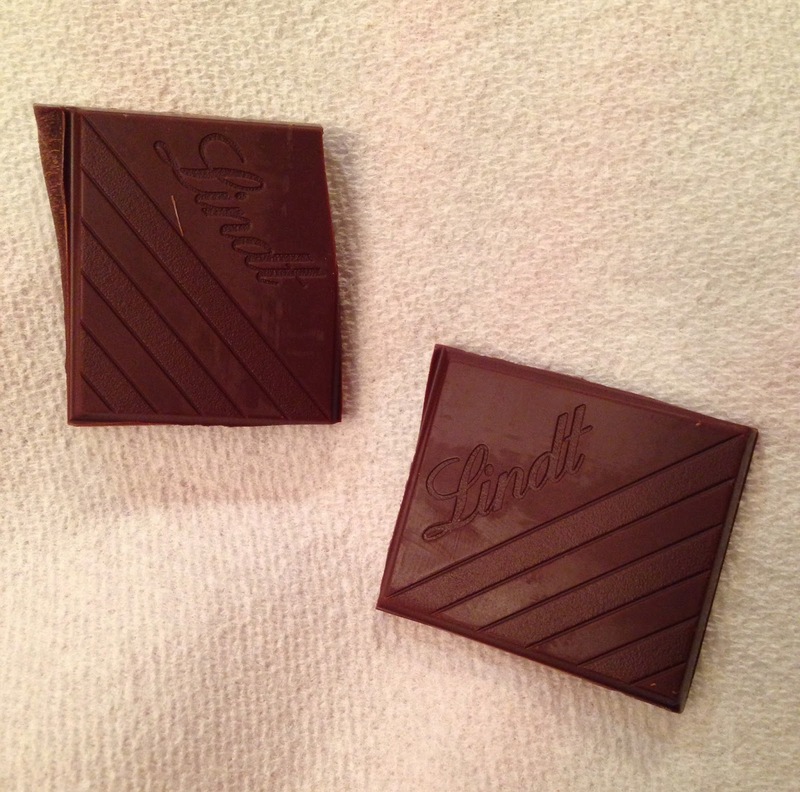 Two squares of Lindt 70% Dark Chocolate. I feel like 70% is about the highest I can go without feeling like the chocolate is too bitter. It satisfied my sweet tooth perfectly. That was everything I ate! Do you ever have snacking days? I sooo wish I lived closer to a WF, but my wallet is probably glad that I don't. Although I do frequent a smaller yet similarly priced natural foods store often. HA. I love snacking.